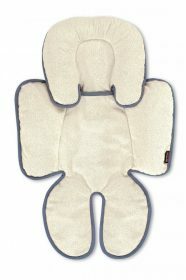 Now you feel confident to know that your baby is safe and comfortable with a head and body support. Head and body support is great for car seats, joggers, strollers to provide safe on-the-go comfort and support. Some supports feature a reversible design to provide cozy warmth or cooling comfort for your baby. Provide complete head and body support for your little one with the Summer Infant Snuzzler. Made from soft, cozy material, the Summer Infant Snuzzler helps support baby’s head while seated in car seats, strollers, bouncer seats and infant swings. Its length can be easily adjusted to provide a custom fit for your growing child. Additionally, the support is reversible to provide cozy warmth or cooling comfort with two distinct style options. Machine washable. 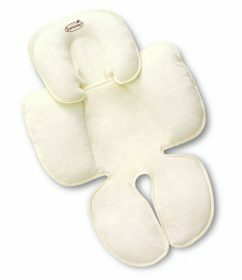 Need something to keep your baby’s head straight and comfortable, the Boppy Infant and Toddler Head Support is for you. This 2-in-1 head support is crash tested and approved. It features a cushioned removable neck ring that provides head and neck support and can be used without the head support as baby grows. You will also love its reversible design which offers both cozy minky for winter and cool cotton for summer. 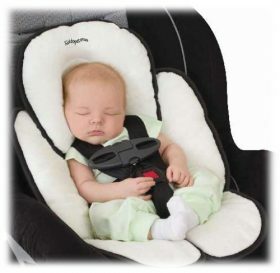 Maximize the comfort in the car seat or stroller with the Britax Head and Body Support Pillow. This Full body and contoured head support for children is made with reversible fabric with plush fleece on one side and moisture control fabric on the other, offering comfort in all seasons. 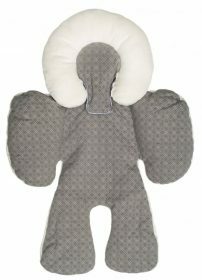 Adjustable and detachable head support provides versatility as baby grows. Machine washable on delicate cycle for easy cleaning. For a most stylish, complete head and body support, you don’t need to look further. The JJ Cole Collections Body Support is a reversible support that features soft velour on one side and a breathable embroidered knit on the other to provide comfort to baby in any season. The adjustable and detachable head accommodates baby’s growth. Fits snugly around infants of all sizes. Machine washable for easy cleanup. 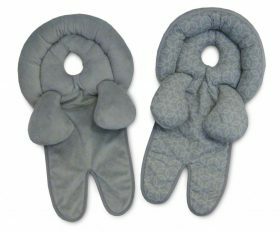 Keep newborns comfy and safe in their infant carseat with the Kiddopotamus Snuzzler Head & Body Support. A must have for new babies, this head and body support provides the ideal support for baby’s back and head, adjusting upward as baby grows. It features unique contours that work well with all harness systems. Transfers easily to provide support for baby in car seats, strollers.